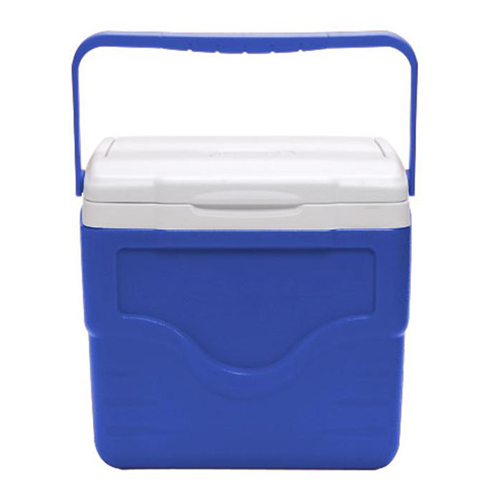 Coleman® 9 Quart Excursion™ Cooler, attractive new styling. Made in the USA.Holds (6) 20 oz. bottles with ice. Shelf/tray divider for horizontal or vertical placement. Large, comfortable handle. Attached lid will not get lost of blow off. Increased foam insulation. 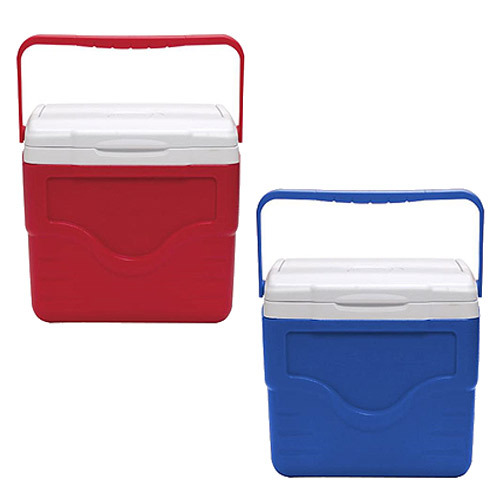 Available in Red or Blue. Bulk / 33 lbs / 4 pcs. Imprint Area: 1 1/2" x 5"